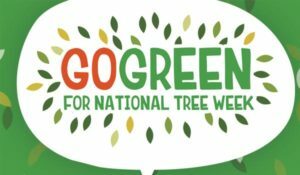 We started our week of celebrating National Tree Week in a whole school assembly in the Albert McKenzie Hall. Some Year 6 children helped deliver the assembly and Owen, Sharmya and Kenado shared some fascinating facts that they had researched. Khalid also informed us that trees act as natural air filters and they absorb carbon dioxide from the air and release and oxygen. Latasia told us that the Hyperion tree is the tallest living tree in the world. It is 115 meters tall. Angel found out that trees provide us with many useful things such as: paper, rubber and lots of medicines. Well done to all involved. We would like to say a huge ‘Well Done!” to all the Year 2 children who performed their class assemblies. Thank you to all who came to support, it was fantastic to see so many parents/carers in the audience. Previous post Health Check Next post Countdown to Christmas Performances!